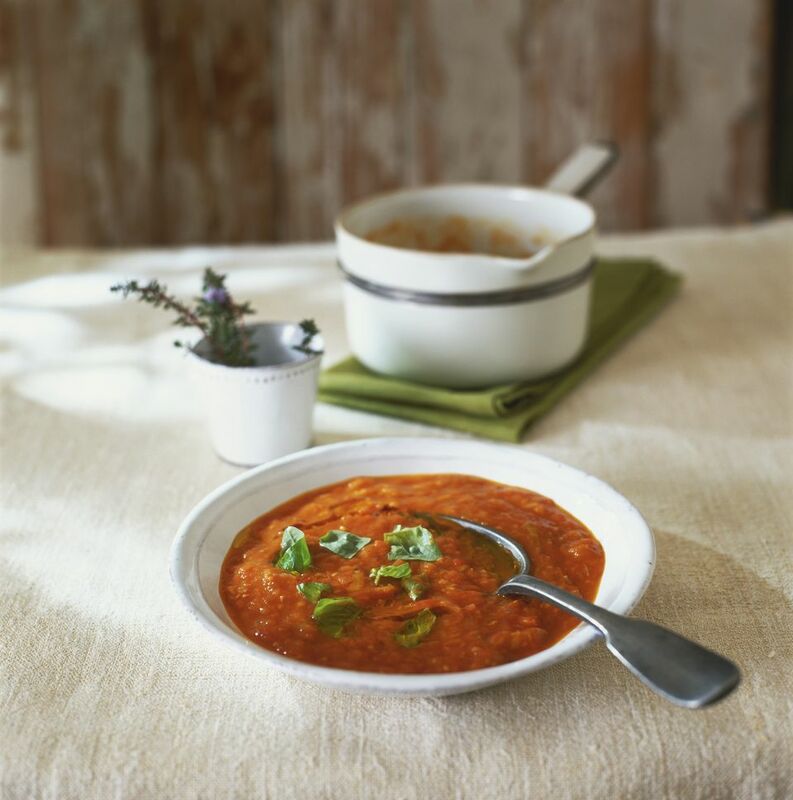 Garden fresh gluten-free tomato soup is so easy to prepare, the flavor beats anything in a can and it's a great way to use those last lingering tomatoes in your garden. Place prepared tomatoes, onions, garlic, herbs and seasonings in a large 2-quart saucepan. Add chicken stock and bring to a boil. Reduce heat and simmer for 20 minutes. Cool for 10 minutes. Pour soup into a blender in small batches and blend on high for about 1 minute for each batch. Be careful not to overfill blender and hold the lid tightly down while blending. Pour soup back into saucepan and reheat briefly before serving. Garnish with fresh basil.